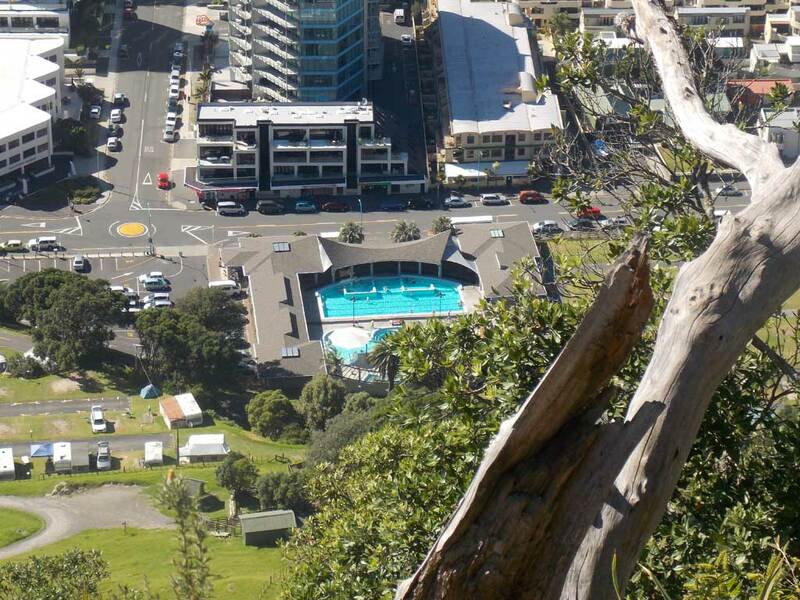 Map showing location of Mount Maunganui Hot Salt Water Pools . Use the controls on the map to zoom in and out. The Mount hot pools are great but they sure get overcrowded at times! Bring a water bottle to put on the side because the salt water really makes you parched. 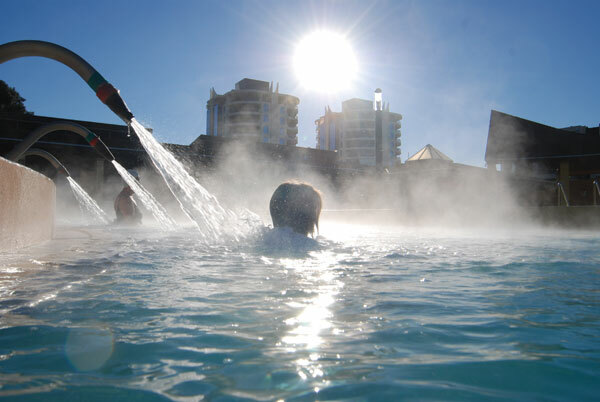 Three essential experiences when visiting the Mount: a walk on the beach, a Copenhagen cone and a swim at the hot pools. Clean which is nice but didnt like the staff taking about - a 'Fat blob' of a woman in the pool that would empty out alot of water when she gets in. We were shocked. How dare they talk about customers like that cause they didnt think we could hear. Hate to think what else they say about other unaware customers. Ruined it. Our family wont return. My family and I visited the pools on Saturday while holidaying at the Mt for the weekend. 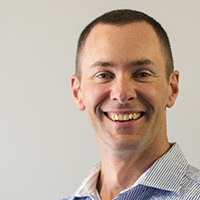 My husband is in a wheelchair, and I thought (based on what is written on your website) that he would get in free. When I asked about this, the girl at the desk didn't know what I was talking about, so spoke to, who I assume was a supervisor/manager. He was very rude when I asked him about it and stated 'no one gets in free!' I mentioned what I had read on the website, and he then acknowledged that there were circumstances where you could get in free with a disability and very rudely said that we had to apply for this and it involved more than just turning up and needing a carer to be with you. The fact we had to pay for my husband was fine, but the rudeness of this staff member was not! I didn't get his name, but he was there on Saturday morning, and I think he was in charge that day. I was not impressed at all with the way we were talked to which put an instant downer on the morning. All other staff members were polite and friendly, bar this one guy. 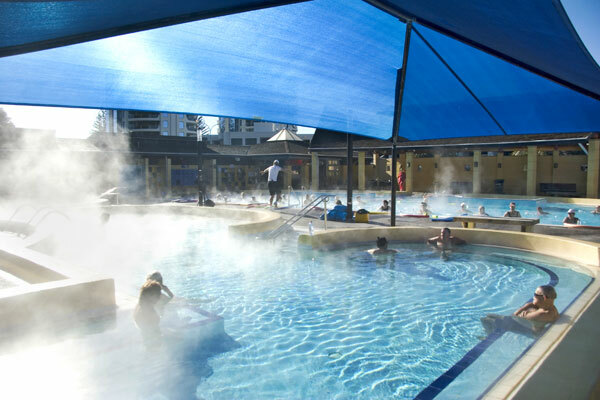 The facilities were clean, and the range of temperatures for the pools was great. We ended up having a fun morning. However, when getting changed, the showers were cold! Skipping the shower normally wouldn't bother me, but with the pools being salt water, we really did need to rinse the salt off, but I couldn't put my kids into cold showers during winter, so we just had to get changed and have showers when we got back to our accommodation. I was meant to mention this to staff as we were leaving, but I completely forgot. I think you need to put up more information on your website regarding the free entry for disabled people as the wording is quite deceiving! Our visit overall was a mixed bag! The actual pool facilities were great, but I cannot get past the rudeness of this staff member! 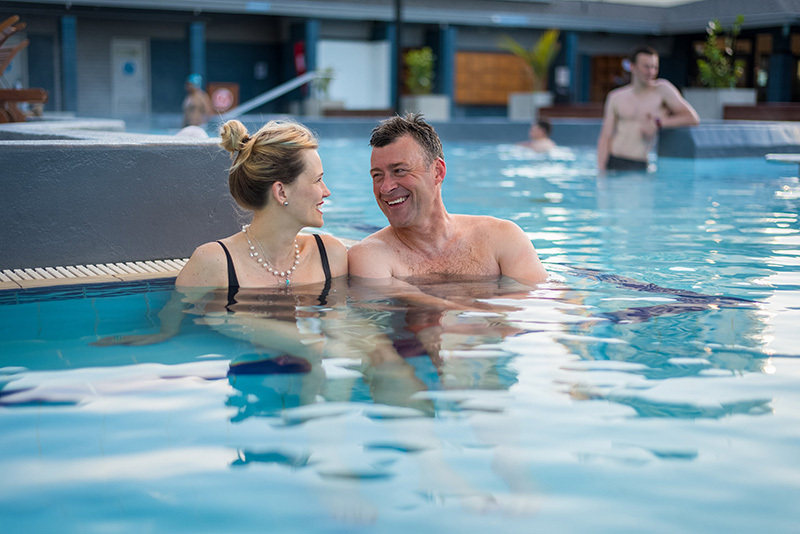 My wife and I just spent a week in Tauranga on holiday and the hot pools were an attraction we wanted to visit before going home. I'm so glad we took the time to go. The staff were very friendly and helpful and the facilities were nothing short of awesome. We will definately return and bring friends with us. Visited Friday night for the first time since the recent upgrade works had been completed. Facility was clean, staff were friendly an the warm/passive pool temp was perfect. Enjoyed the new jets as well!! Highly recommended. i think the prices are disgusting i dont see why we have to pay for under 1s. people complain too much, you're not meant to go underwater and open your eyes. wear some goggles if you hate salt and chlorine pools that much!? i have been going to these hot pools for so long and i love it so get the hell over it! Nice selection of pools, but way too salty. Salt irritates nose, mouth and eyes. Another family next too us was remarking that it was irritating also. It was great! The pools were so relaxing. I went there with my sister and my mom too. I only suggest making the water a tad hotter. In my opinion though. We are going to some of the other local places this time. They are always great to go to but now with a family they are way too expensive, crowded and the salt water hurts the eyes a bit. Maybe the cost helps the crowd control lol! A very relaxing experience coming from the cold climes of the UK, we would certainly visit again! The schools had just gone back so lovely and quiet. Only one complaint - the areas surrounding the pools we found a little painful to walk on but otherwise excellent! Fantastic place to relax and soak in the hot salt water. Experienced a great massage after my swim as well. 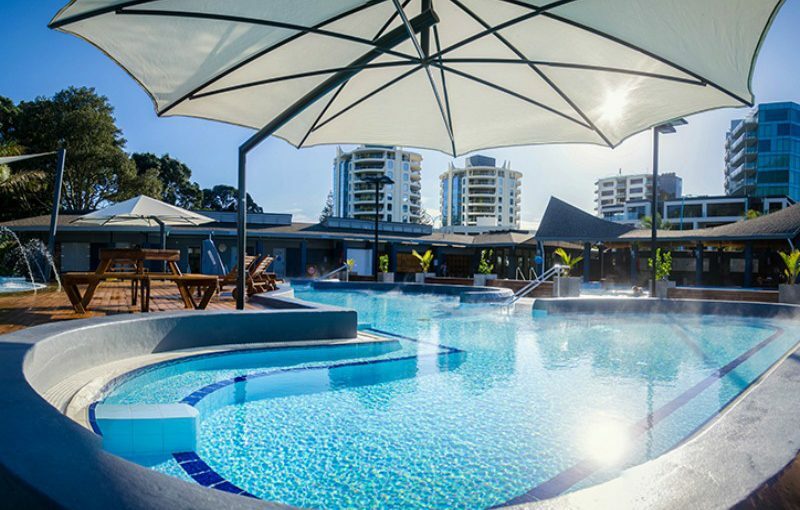 went to pools over easter, go their every time we are up their.yea price has gone up,but if you stay at camp ground you pay local price.they are going to spend big money on doing up pools so maybe thats why price has gone up. What is the justification for the shocking cost of swimming in the pools. A family cant afford to go there anymore. I would have to sya these are definitly on my good list. They are relaxing but I don't like the salt hurting my eyes. It's where i grew up. Every friday night and sunday after nippers.. without fail - trying to not get kicked out because we were too rowdy and annoyed the tourists!! the best hot pools ever - at least they don't stink like sulphur!! I really enjoy going to the hot pools at night because it is really relaxing. 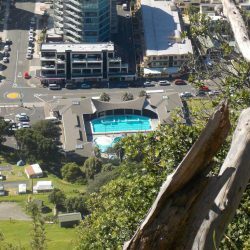 Every time I visit the Mount I go to the hot pools. Hi Guys,I am bringing two of our staff to NZ, staying at the motor camp. I do hope those disgruntel vistors requests from staff would be sorted. The last time I was there it was great so I wont be disappointed????? Water was lovely and warm. Plenty of space. Change rooms and toilets were clean and dry! All areas well looked after. 2 lifeguards on duty, with more when a large children group arrived. We will be back! today we traveled to your pools for a soak and were surprised they were not very warm. 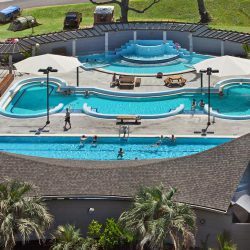 In fact we wonder why we traveled so far and were not told when we paid our entry fee for two seniors that the pools were not up to standard advertised and as we have previously found very good. My husband and I visited the hot pools last night for the first time in a number of years. I have to say I was disappointed at the warmth of the pools, the two small pools and the larger one all seemed to be the same temperature which was not quite warm enough. On our last visit there were three small pools which I remember to be way warmer than the main pool. We sat in the smallest pool which seemed to be the hottest and lots of people that came in were also looking for something warmer. We were also disappointed to see all the water jets in the big pool had gone. Also the service on reception was very poor, the girl 'serving' us seemed more interested in her conversation with her work mate than serving us. The complex did seem clean which was good to see. If the pools were at their normal temperature I doubt we will visit again. @Chris. Thanks for your feedback Chris. We are really sorry to hear your experience was not an enjoyable one. We do our very best to ensure our front line staff are friendly and welcoming to all customers. We will be addressing this with the staff member on at the time and also holding additional customer service training for all front line staff. The changing ammenities are not the best currently and we do apologise for this but the only other option was to close the facility so we felt this was the better option for our customers. The contractors are doing their very best to finish as quickly as possible. In recent years our hot water bore consent levels have decreased. This has meant we are having to use less hot water to try and heat the pools and unfortunately, on the really windy, cold days, the system can sometimes struggle to keep up. We are currently working through the process to have the consent updated and espect next winter to be much better. once again, apologies for your experience and we do hope you will visit again some time. Incredibly disappointed, basic facilities unavailable. Arrived on a cold, wet and windy July looking forward to a nice long hot soak. Firstly, the reception staff almost seemed inconvenienced by the arrival of customers, which wasn’t the warmest of welcomes. Secondly, during the renovations there are no male changing facilities available. Tucked at the back of the complex was a dirty portable toilet block with no heating or lighting. Outside was a small wooden bench and a singular strip of Astroturf, and that was the extent of the male facilities, certainly not an acceptable temporary solution. One of the pools was surrounded by junk, chairs and other builders materials. So completely unavailable, yet this wasn’t explained nor was the price reduced to reflect availability. Most of the lockers were battered and faulty, hopefully this will be rectified during the ‘refurbishment’. None of the pools were particularly warm, in fact most could only be described as tepid. We took friend from overseas to visit and found ourselves apologising and left feeling toughly disappointed. Refurbishment is most welcome, however, the price should reflect the absence of essential facilities. Much better hot pool options are available. 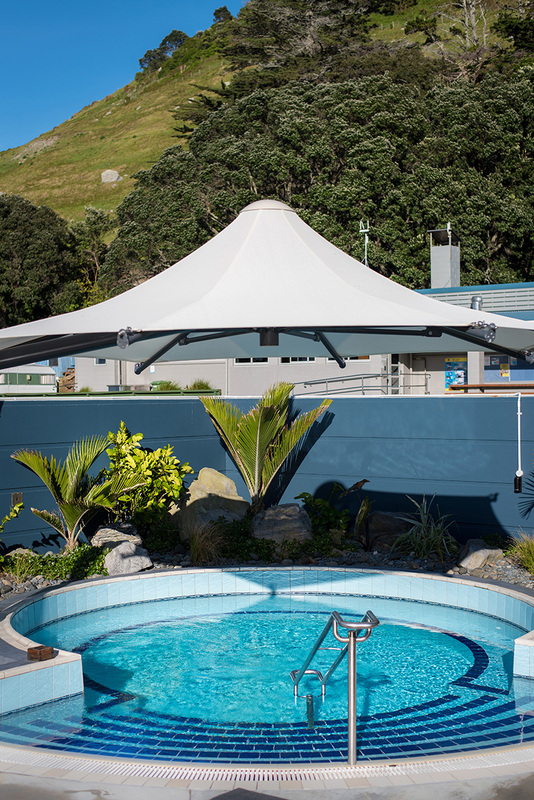 Loved our first day at Mt Mounganui hot pools and will go back more often. Kids were dissapointed when we had to go home. Guards were on alert at all times especialy with the kiddy pool. Only thing that i didnt like there is only one family/disable in a changing room so had to take my kids (4-6yr boys) in womens bathroom. Besides that was a very good experience and great customer service. Great pools. been going there 20 years. perfect temp the salt just makes my eyes sore!! Dissapointed once again. Very fond memories as a child and wanted to share this with my children. Checked the website for pricing and drove on a horrible day (perfect for hotpools) from Hamilton to the Mt. 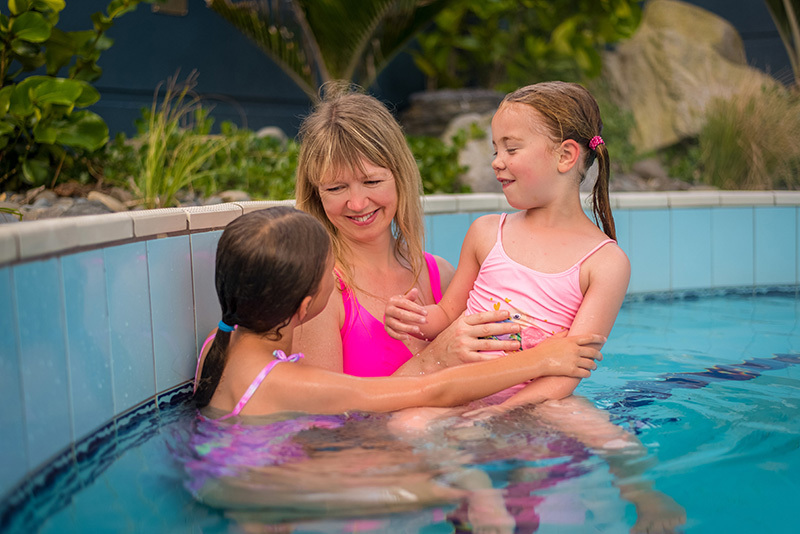 Let the kids get wet and cold at the beach then walked to the pools. Sorry closed until further notice. I'm gutted. But found that Fernland spa on Cambridge Rd. was cheaper and on the way home. Thanks Fernland. 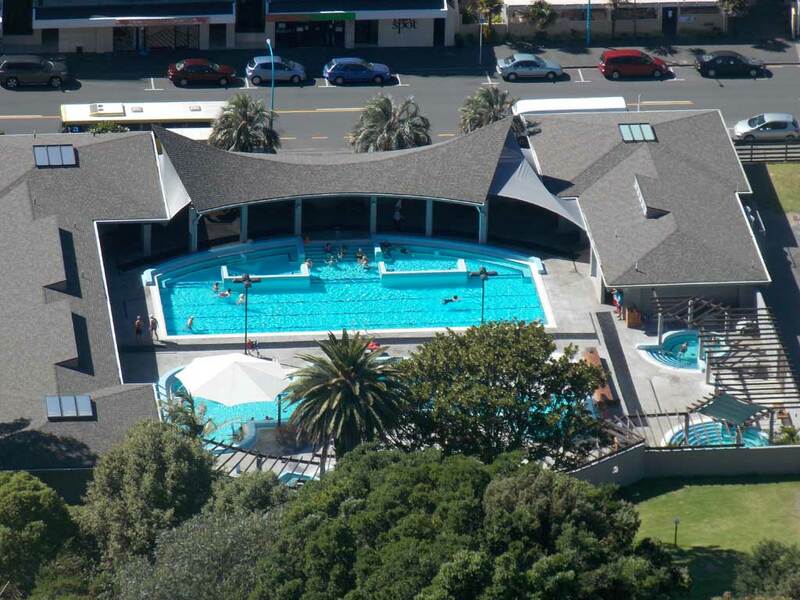 We love the Mount Maunganui Hot Salt Water Pools. We use them pretty regularly in the early mornings and swim our 20 laps. We would love to have the temperature kept at 33 or 34 + degrees - sometimes it gets quite cool. This and hot showers would mean we could use the facility for longer into winter. The showers, particularly the womens', are usually cool to almost cold and only very occasionally really warm. But we don't need a huge upscaling of the pools. 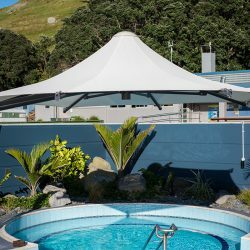 Little things like new stainless steel handbasins and some cleaning up wouldn't cost a lot, but a Maori Culture Centre and bigger pools and other large expenditure items would probably not make the pools any more attractive, and may make the entry price increase, which obviously we would not like to see. At present they are an affordable, value-for-money, enjoyable outing and means of exercise, and one of the reasons we live in the area. Nah! Those $80 board shorts must have been made cheap in China! Have taken our kids here for years and never had a problem. It's salty but guess what - so is the sea! Life long users - no more! Totally over-chlorinated, must be a health hazard to take the colour out of our $80.00 board shorts and gave us itchy, red skin! lool..i avent been home in ages so they beta not be over chlorinated other wise im going crack the shets @ ya's & they best be clean too..! !..because thats how I remember them to be..:)..soo carnt wait to jump in that pool..!!.. Amazing and therapudic, I wish I could teleport back It's a fond memory of my visit to New Zealand. I really hope us locals can still get in for a local price when they get up graded. when i had finished my netball tournament our team came here there were lots of people but it was controlled though so i thought that was great. price $9 per adult or $5 if you stay at camp ground. times, open till ten at night. I am not impressed with the phone not being answered so I can find out a simple question - how much does it cost to get in to the pools?? Opening hours is good but no price??? 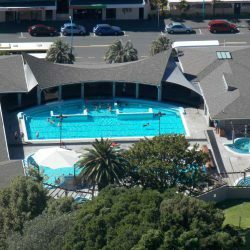 Loved these pools in 1998 when my husband and I started going at $2.50 a visit, not quite so in love now that it costs $9 and nothing has changed in 10 years. We would rather go somewhere that is doing something to earn the money. Shame though. 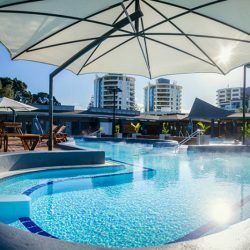 I will be going with a school John Paul College and I hope it will be nice and relaxing after having kids around for a whole week so look out Hot Pools a tired Lady will be coming your way! A hot pool we just keep going back to again and again. It's a must for your day at the mount especially if it's cold. Suitable for all ages and constantly hot water. Charges have gone up though now $7.00 per adult from $5.00. Recommend a visit if your in the area. Show de bola! 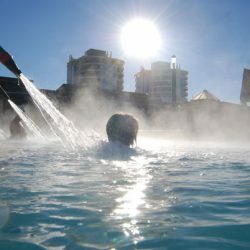 Depois de alguns dias ralando nas fazendas de kiwi vale a pena ir lá para dar uma relaxada! What a fantastic establishment we absolutely loved it especially my little girl (19 months) the padling pool even had a slide which she absolutly loved. Our group comprised of 8 adults, 5 teens and one todler, we even had my elderly mum with us as well who absolutely loved it - it helped with her aching joints. The wonderful staff were helpful & friendly, The facilities were fantastic and clean, we cannot recommend this place even more. We will definitely be back. It was a long day trip from Auckland - especially with such a young child - so next time we might stay a night in Mt Maunganui. 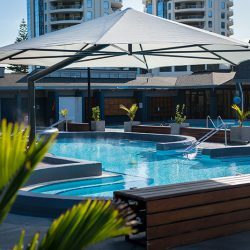 These pools are great for bathing in no matter what kind of weather consumes BOP as there is a pool with a temperature to suit everybody with the just over luke warm pool then the perfect hot pool with a sial so if your there during the day you don't get sun burnt! Great kids pool with a simple but fun slide that children are always enjoying :) The atmosphere is lovely to with dim lights and the beautiful mountain as a back drop. Always alert lifesavers.Well worth it! I remember going here when I was little with my mum, dad, two brothers and two sisters. It was really cool although one time I slipped a step but a blonde stranger saved me! My sister nearly drowned aswell but my dad and 'pool-workers' (don't know what you're called, sorry! (: ) saved her. She got chocolates! I didn't, no fair. Well thanks, this was like 8-10years ago, it was good then and probably now. I soooo have to go back. I used to live in Mt. Maunganui. 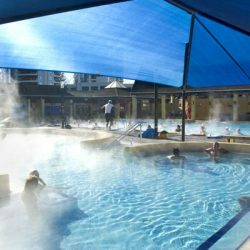 used the hot pools on our last visit to NZ, we found the complex to be of a good standard at a reasonable cost, and the best place to be when it is raining. Will be there again next February. On Saturday the main pool was closed for a while due to "something" in the water. So everyone was packed into the other pools. Of course we were still charged full price. I was very dissappointed that the change rooms were very unclean and smelly. Awesome! Awesome! Awesome! is all i can say! Went on a class trip wth Paeroa Central School Rm3 2006 Friday March 17th there were lifeguards everywhere! the whole thing we are definetly coming back here! The price for such an awesome place Hey what more could you want. I urge anyone to check this place out! SO WHAT ARE YOU WAITING FOR! Commercial and busy but still one of the great places in New Zealand. 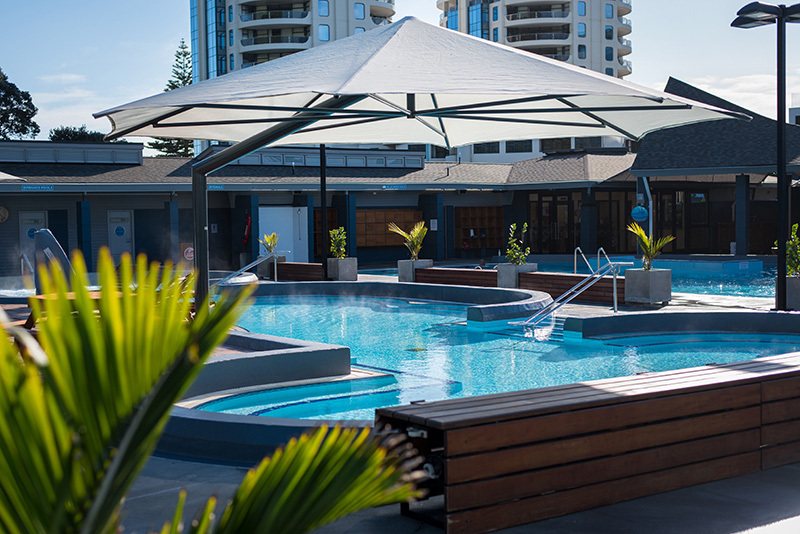 Social but friendly, warm to hot water, the great stress-busting hoses and its all clean, well organised, and efficient - this place still rocks! A cold surf, a hot soak and an orange milkshake! Memories are made of this! This pool is the rocks. Hurts my eyes though, dam you salt! 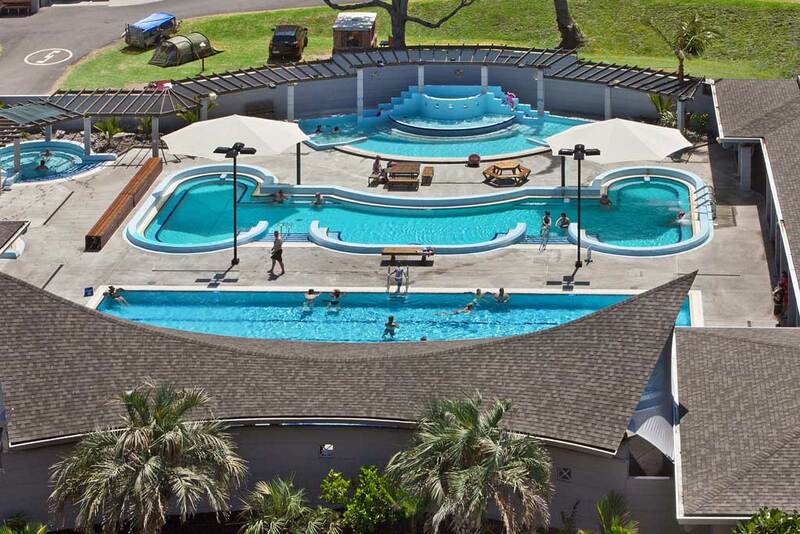 Nice pools but the price has gone up AGAIN to $9 for one adult.. this is starting to get rather pricey considering what is on offer and that locals can enter at $5. don't mind the drive over to such lovely hot pools but just wondering why it was not open when we arrived on the 5th of june. Very disappointed after driving over just for this reason. I noticed your hours yet no saying about not being open on this day.